With the sun on our necks, summer salads freshly prepared and the kids entertained, our Summer BBQ was definitely one for the books. 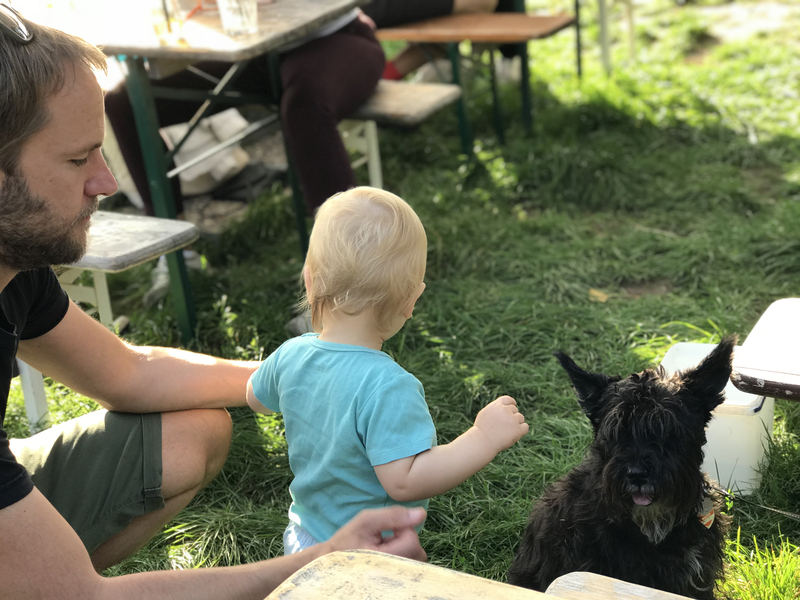 Berlin really turned up the weather on Friday, August 25, just in time for our hungry Contentfuler@s, partners, kiddies and pups to join the party. We had a great turnout and a whole heap of fun. 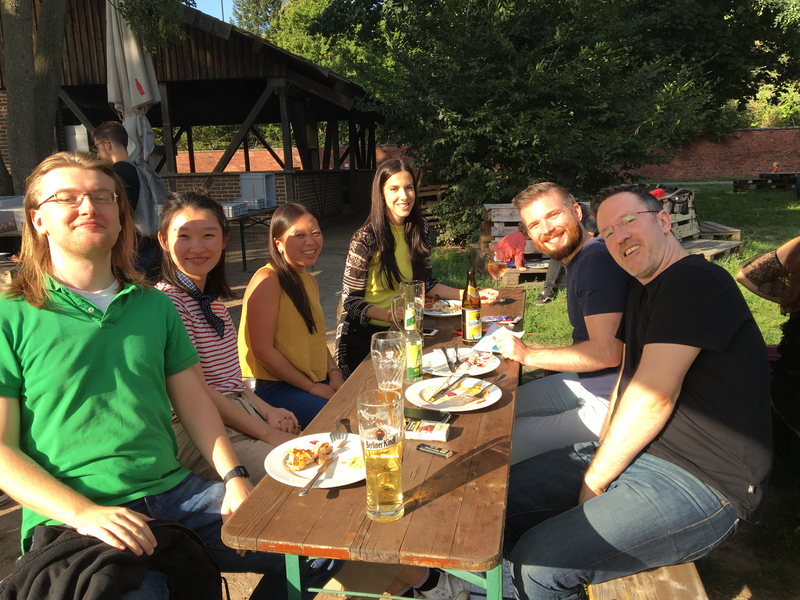 The BBQ was held at Tempelburger, Tempelhof field, a former airport that is now one of the world's largest inner-city parks. The staff cooked up a storm for us—including a variety of meats, haloumi, vegan salads and bretzels. 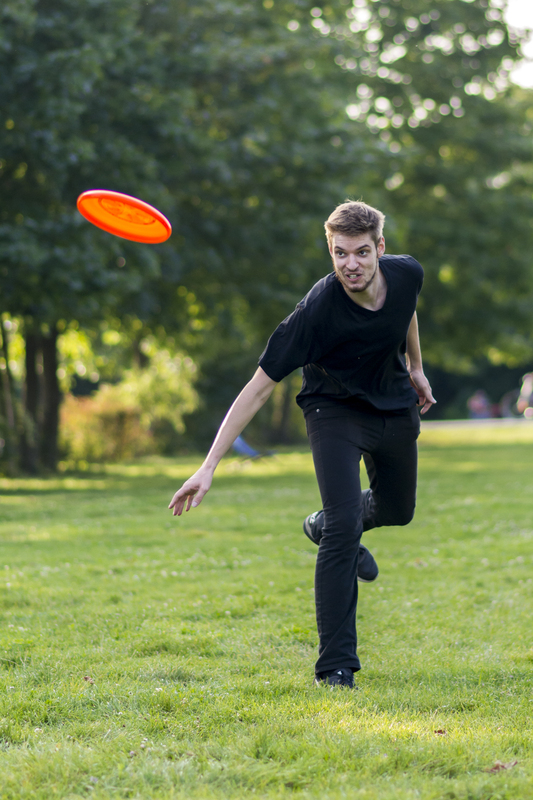 All shared meals and laughs, some ‘frisbeed’ and ‘b-balled’ long into the evening. Kids had a blast on the bouncy castle and enjoyed making crafts together with our brilliant babysitter. Not a tear was heard throughout the entire night, now that is a sign of a great BBQ! The evening ended with a magnificent sunset setting slowly over Tempelhof’s abandoned traffic control tower, drinks in hand. Nothing beats the Berlin sun on a Friday afternoon. Here’s looking forward to the next family event. Like the sound of the Contentful culture? We are looking for new members of our family. Check out our current vacancies here.